Heat the oil in a large frying pan. Cook the onions for 3-4 minutes until soft. Remove from the pan and reserve. Add the steak to the pan and fry for about 1-2 minutes each side depending on the thickness of the steak, return the onions to the pan and stir through the steak. Cut open the rolls lengthways to create a 'top pocket'. 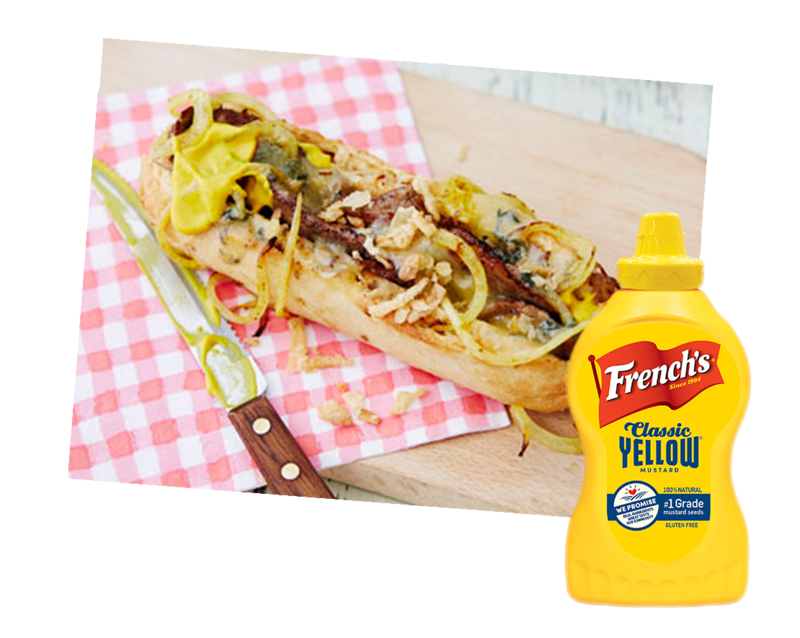 Add a large squeeze of French's Classic Yellow Mustard to one side and then add the cooked steak and onions. Top with blue cheese and place under a hot grill for 1-2 minutes to melt the cheese.